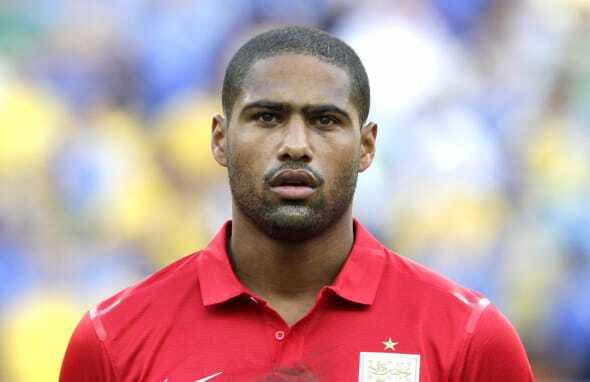 Liverpool and England footballer Glen Johnson has been handed a six-month driving ban after failing to identify and inform the police of who was driving his car. The ban relates to a previous speeding offence, in which Johnson's Audi was caught over the speed limit by an officer with a speed gun, on the A55 near Colwyn Bay, Conwy. 29-year-old Johnson had denied the offence, claiming that he had completed and sent back the form to identify the driver, and that it had later been misplaced. However, Prestatyn Magistrates' Court found him guilty in his absence, and was banned from driving under the 'totting up' rule, as he already had six penalty points on his licence. The defender was also ordered to pay a total of £2,300 in fines, costs and a victims' surcharge. His legal representation has indicated that he is likely to appeal the conviction. Johnson follows in a long line of premiership footballers who have got into hot water over their driving. Just this year, Manchester City players Carlos Tevez and Samir Nasri both lost their licences. Argentinian Tevez was also sentenced to 250 hours community service and given a £1,000 fine after being caught driving while disqualified and without insurance. Nasri's car was clocked speeding on three separate occasions in one year. He was given a £2,100 fine and banned from driving for six months.